Step 1: in the first place, open the application and tap on the search box you’ll find at the top of the interface. The latter will lead you to a screen from where you’ll easily and quickly be able to access different online video services and social networks, including Facebook. Step 2: you’ll identify Facebook by means of its typical icon. Tap on it and log in to your favorite social network by typing in your user data (the email address you used to sign up and your password). Step 3: to be able to download a video simply tap any of them that appear on your timeline just as if you were going to play them. A button will appear in the bottom right-hand corner, offering you the possibility to download it. Just click on it. Step 4: now you’ll be offered different options to download the video in question in terms of quality and format. Choose the option that suits you the best and start downloading (options for Facebook are more limited than for YouTube, for instance). Bear in mind that we’re talking about videos uploaded to FB and hosted on the social network. 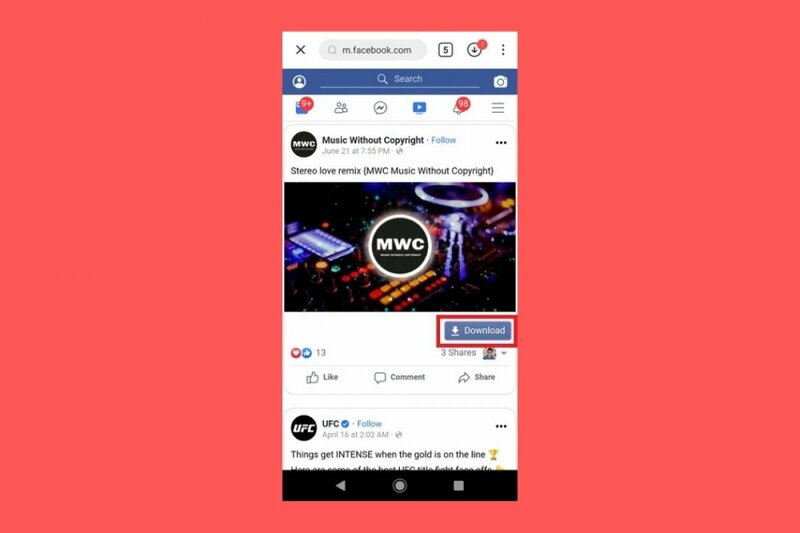 For videos embedded in Facebook but uploaded to other platforms such as YouTube, the procedure is very similar (we have to tap on the video to play it) but the download is carried out from the hosting service and not Facebook. In other words, if the link is to a YouTube video, the download process applied by SnapTube will correspond to this video portal.